World Idli Day 2019: The humble idli's fan base has grown immeasurably in the entire sub-continent as a popular snack. 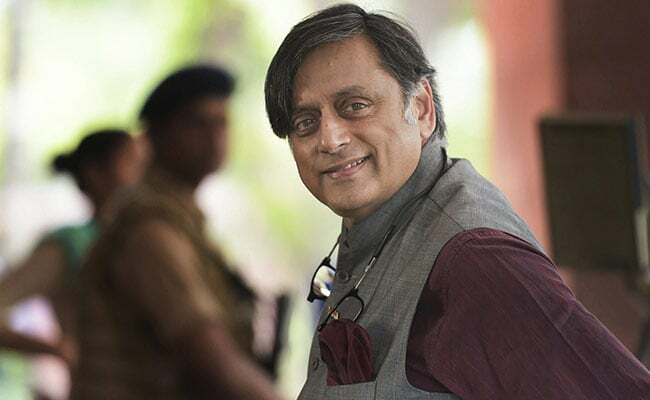 World Idli Day 2019: Shashi Tharoor, on World Idli Day, says he can't start his day "without several"
Congress leader Shashi Tharoor tweeted to celebrate the annual day of a fluffy food item cherished by people across India. In the tweet, he called the item the "king of foods". Hint: this food, made from rice batter and consumed, usually during breakfast almost every day with sambhar or coconut chutney, is also centuries-old and finds a mention in several ancient text. It's the humble idli, which Shashi Tharoor, in his tweet on World Idli Day, says he just can't start his day "without several" of them. Since its humble origins as a breakfast staple eaten across south India, the idli's fan base has grown immeasurably in the entire sub-continent as a popular snack. The idli is also one of the few street foods in north India seen as a healthy, gut-friendly snack. Since the idli is steamed and not fried, it preserves several nutrients. In south India, there exist a wide range of different types of idlis. Udupi, Chettninad, Kanchipuram, Rava, Thatte, Ramessari and Moode are just some of the popular variants of the idli. Mr Tharoor had tweeted on World Idli Day last year as well, calling it his "favourite daily breakfast food." "Began my day in Thiruvananthapuram as usual with idlis. Always marvel at the ancient geniuses who invented this greatest of all foods," he added. However, the occasion of World Idli Day has left several in Tamil Nadu with their heads scratching. While World Idli Day has been celebrated for the past three years, several chefs and hoteliers remained unaware of the occasion. An official at the popular Ratna Cafe hotel in Tamil Nadu capital Chennai told news agency IANS that discounted price was not available for diners. Ratna Cafe is famous for its sambhar-idli and also unlimited quantity of sambhar served for diners. Similarly, another popular idli outlet is Murugan Idli Shop in Tamil Nadu's Madurai. A staffer for the restaurant said no promotion was going on at the outlet to mark World Idli Day, according to IANS. However, M Eniyavan, founder of Mallipoo Idly (named after a type of idli), a popular restaurant chain in Chennai, and the brainchild behind the idea to celebrate World Idli Day, remains enthusiastic about the occasion. "The humble idli is the safest food for all ages - children to elderly. It struck me to celebrate March 30 as World Idli Day when there are several days like Father's Day, Mother's Day and more," Mr Eniyavan told IANS.